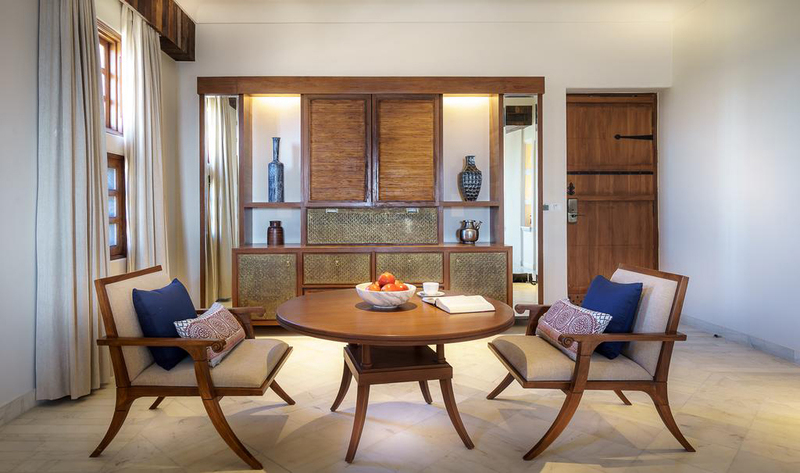 The fort was converted into a hotel in July 2017 by Alila Hotels and Resorts and since then the Hotel has thus created an aura of luxury entrapped in the magical spell of history. 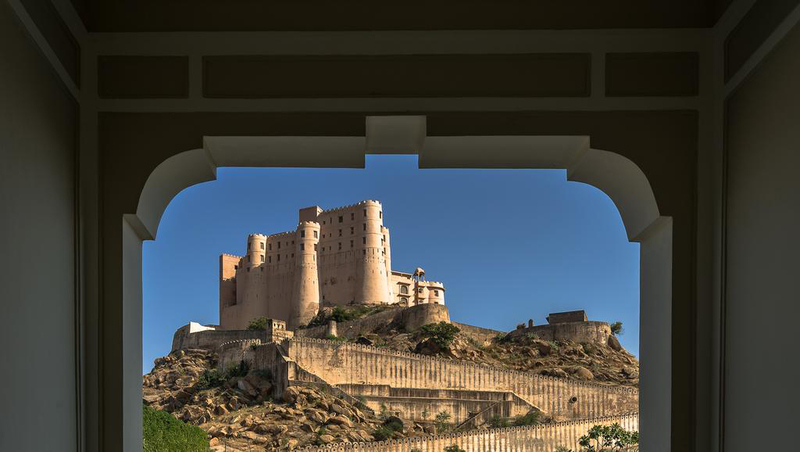 This is the first warrior fort to be converted into a hotel. The hotel does not disturb the original architecture of the fort. It is one of the rarest hotels which are surrounded by the rural outskirts of Rajasthan thereby providing the most serene environment for guests to soak in and relax. If you ever wanted to live the royalty of “Arabian Nights” folklore, this is the place where your dream comes true! The hotel provides a bird’s eye view of the countryside of the state. Exalted between the vast pastoral lands surrounded by hills on all sides, the fort provides an environment perfect for relaxing, meetings and weddings. Make your life larger by living a noble life at the magnanimous Rajputana fort whose simplicity is sure to capture your heart. Whether you are nature lover or a Royal heart, the fort is sure to cater to the needs of all. Whether it be a wedding or a meeting, the fort lends grace to the event, thereby adding to your beautiful memories. After all who doesn’t want a splendid stay in the colorful land of Rajasthan? So, block your dates to experience the lavish fairytale life in the land of pride! 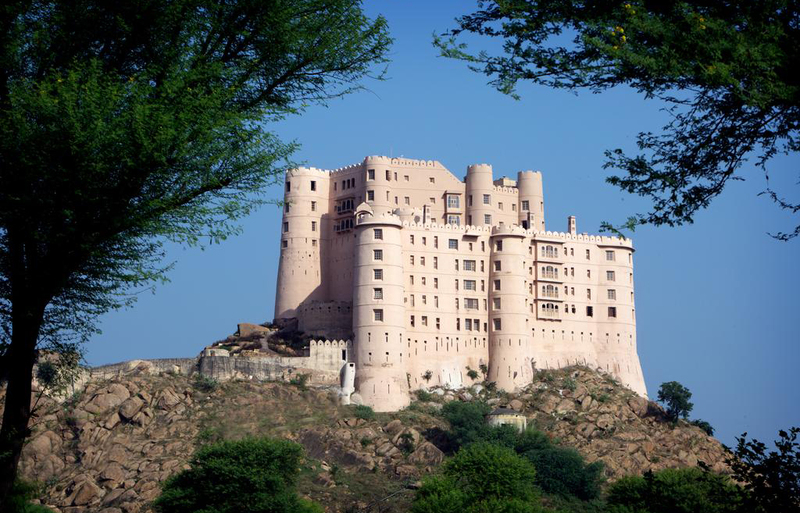 Hotel Alila is an old warrior fortress standing high on an old granite rock amidst parallel mountain ranges, famous for guarding the royal kingdom of Jaipur against the invasions of the enemy in the days of yore. The grandeur of the fort’s architecture is sure to take you back in time and mesmerize your senses. 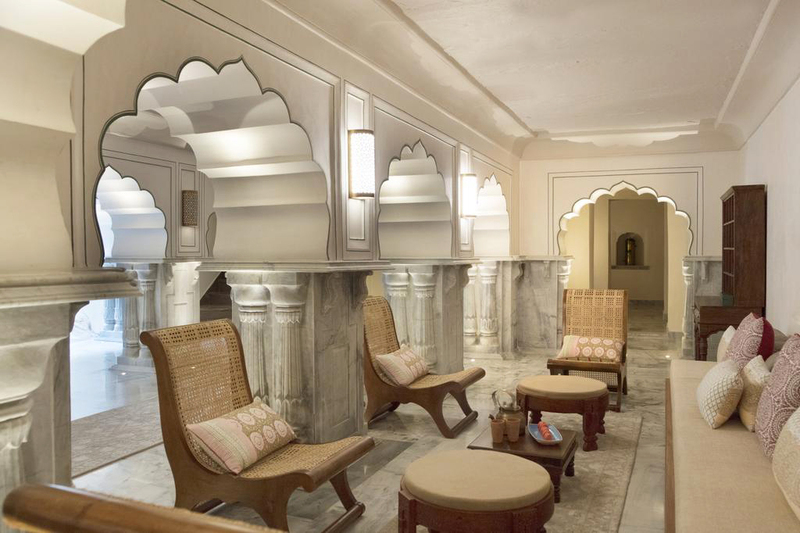 The architecture belongs to the Jaipur Gharana and is equally influenced by the Mughal and British styles. The huge aristocratic granite walls with Tudor-style petal shaped arches and towers touching the sky add to the grandeur of the magnificent fort. The peach-pink colored frontage of the fort soothes the visual senses. The dimly lit glassy corridors surrounded by antiques in every corner boost the sumptuousness of the locality. 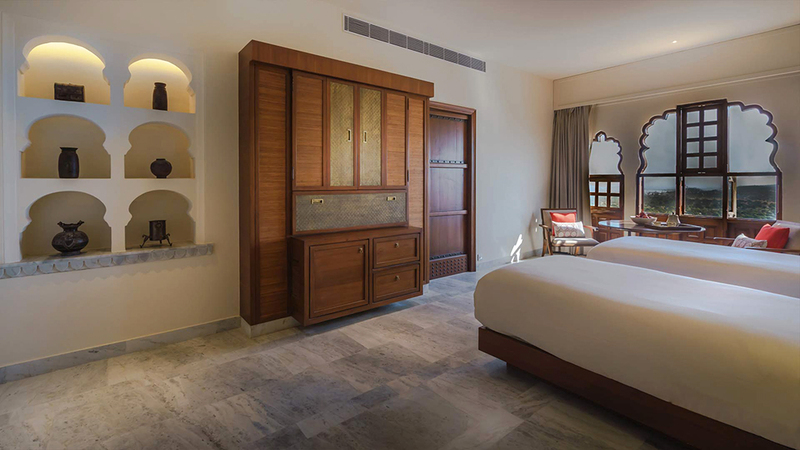 Contrary to the exterior of the hotel which depicts stories of valor, the interiors speak of the glory of Shahpura royalty. The architecture of the rooms reflects the unique artistic skills of the region with walls beautifully decorated with handmade paintings. The enormous jharokha style windows open up to the rural endless uninhabited lands in the outskirts of Jaipur city. The grace of the fort is further increased by the minimalism of design, use of clean lines, and extensive use of marble and dark woods. There are 59 spacious suites in the hotel which provide lavish living spaces to make your stay more comfortable. 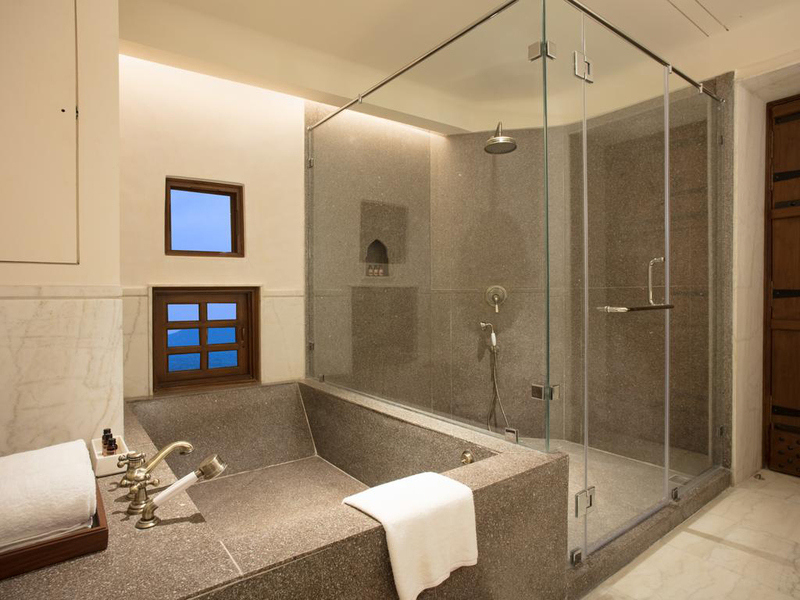 The judicious use of colors creates a splashing effect in the large bath tubs in the king-sized rooms. The accommodation can be categorized into four types including the Heritage rooms, royal suites, grand suites and regal suites, each having different type of attractions. Each room is designed artistically with basic amenities and king-sized beds to accommodate a family of four. Indulging in the wave of royalty the hotel doesn’t prevent you from the comforts of the digital generation. Hotel rooms are equipped with large LED TVs, Wi-Fi, air-conditioners, tea kettle, attached bathroom with bathtub, hot water facility and mini bars. The hotel also provides room service,wake-up calls, laundry services, currency exchange, housekeeping, medical aid and parking facilities. Other conveniences include dreamy infinity swimming pool which is sure to make your peers envy, adorable gift shops where you can shop for souvenirs, a 24-hour front desk, banquet hall, health club, poolside barand also a reading room. The hotel bears the power to pamper you with the curative powers of mineral waters of the Spa which rejuvenate your soul. The major attraction is Nazara, a terrace lounge which literally takes you to the top of the world by providing a spectacular view of the surroundings. The Hotel also provides the facility of gym along with a pool terrace. Imagine gulping wine on the terrace in a pool on a full moon night! The hotel also provides with cigar and whiskey lounges which add to the sense of hedonistic exclusivity. Dine in royal style like a king right from the kitchens of north Indian Maharajas. 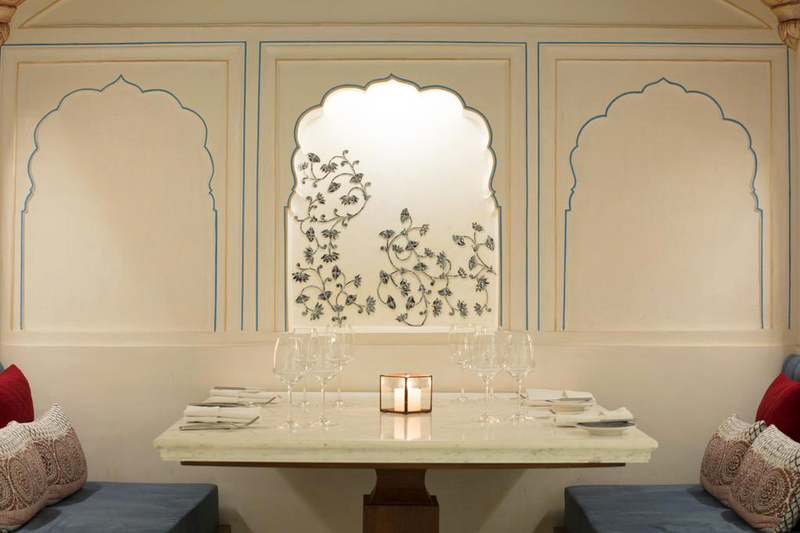 There are various options of dining from Amarsar which offers silk route cuisine at the airy and atmospheric rooms, to Nazara-the Mediterranean terrace dining facility. Enthrall your senses at Madhuveni- the one-stop destination for fine whiskey and unparalleled cocktails to Kachchawa lounge which is the best destination for morning tea, Finally, head over to Haveli restaurant which provides finger licking food with a variety of choices which change daily to surprise your taste buds with supreme delicacies. The charm of the hotel lies in the jade shaded drapery of fields, curvy roads and small houses which add to the scenic beauty. Since it is carved out of the granite rock on which it is standing it connects its visitors to the geology of the place, taking them back in time. The raw rocky terrain which is surrounded by the rural areas of the town provides its visitors with the most relaxing sight. There are a lot of secret passages which you would love to be lost in. For the bookworms, there is also a library set inside huge marble pillars with a large map of the kingdom on the wall. Just a walk away from the fort is the colorful street of “Rangeelo” Rajasthan. It captivates your senses and your soul dances to the tunes of enchanting Rajasthani folk songs. The hues of bangles and the beautiful traditional dresses paint your heart in the colors of Rajasthan. Such heritage walks can be covered under 3km distance from the fort. The local life, varied culture, crafts and traditions of Bishangarh can be easily explored by the assistance of the concierge team of Alila group. Visitors find it exciting to explore the magic of classic elegance of Shahpura culture. Another major attraction is the Shahpura Haveli which is an epitome of Rajasthani art is just 20mins distance from the fort. The spectacular fort of Amber in Jaipur is just 45min drive away from the Hotel. Alila Fort Bishangarh is a gateway to a luxurious stay and one of the best locations for weddings and parties. Here are some info bits to help you plan your stay and events better. The rooms are not fully adaptedfor people with disabilities. The hotel staff, however, offers assistance with wheelchairs, which are available on demand. The Hotel offers value for money and thus there are different plans for different seasons. The low season is from April to September and the high season is from October to March. Plan according to the season, and book early, and you could save a lot on your stay. The hotel is fully family friendly. There are two interconnecting rooms and a kid’s club to keep your children entertained. So, your kids get the space and you get the privacy. The rooms get occupied during the peak season especially during festivals, holidays and New Year, so it is advisable to book your rooms beforehand to avoid any last-minute hassle. The chaotic ways of city life have taken away a lot from your life-experience. 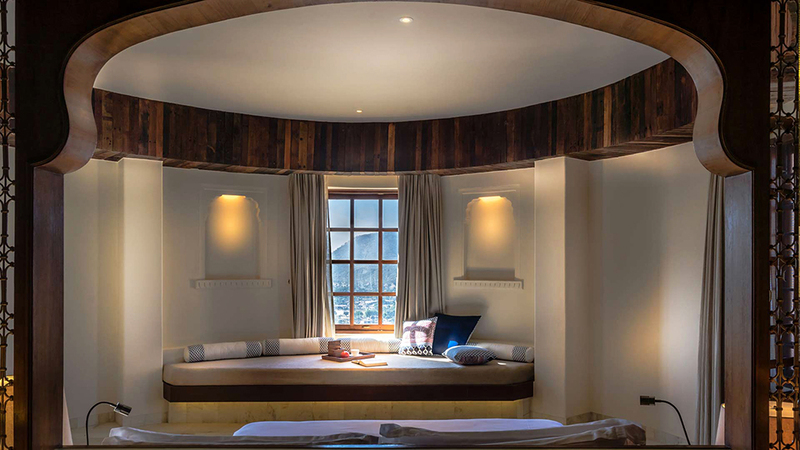 Alila Fort at Bishangarh is not just a hotel but an amalgamation of beauty, love, relaxation and peace – all at one place. So, b prepared to spoil yourself in the lap of luxury by giving your hectic life a beautiful break at the awe-inspiring and breath-taking location. Make the best use of your time by inscribing the experiences in golden words in your story of life. The care and hospitality you receive at the Fort are sure to bring you back again and again so make the bookings and enjoy one of the life’s greatest bliss!